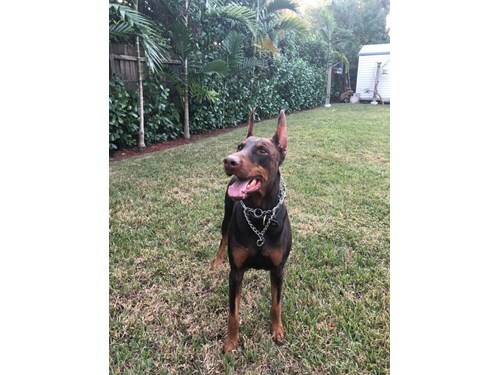 Comments: The Doberman and an small white and black female dog where found on Blue Road, near Ponce de Leon. Both are now with me. Please contact me as soon as you see this alert.